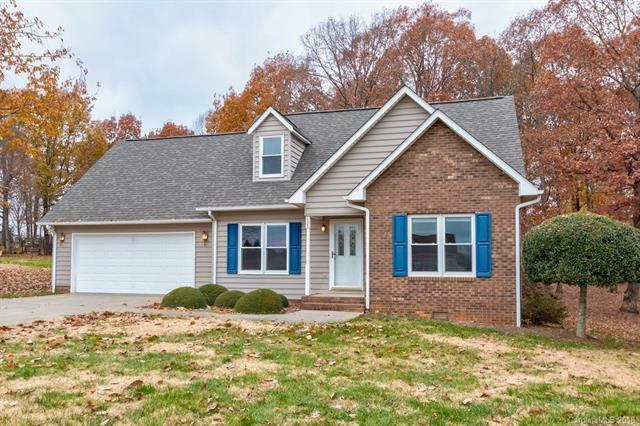 This cute Traditional in the Lippard Springs community of Statesville has much to offer! Just under 50 miles north of the hustle and bustle of Charlotte, escape to this rural setting, only 6 miles to charming downtown Statesville, and about 4 miles from Troutman and all that Lake Norman State Park has to offer. The home has been lovingly cared for inside and out by one owner: new roofJanuary 2018, newly painted interiorNovember 2018, and within the past 5 years new windows, pre-finished hardwood floors, gas range, stand-alone propane fireplace, and water-filtration system. The spacious, level .65-acre lot is perfect for summer entertaining, and houses an additional storage unit for your extra gadgets. Move-in ready before year-end!